This watch is also known as: 116598SACO , 116598-SACO , 116598 . This is the most popular brand of Swiss timepiece in the world. With the innovation of new look, here comes the 18K yellow gold feature that can be really admire by everyone. The alluring classic timeline figure which has a Bezel set with 36 baguette Cognac sapphires, set with 48 diamonds can be a status symbol for each wearer. 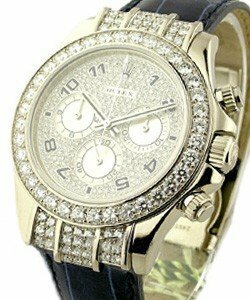 Anyone who can see someone wearing this high-end classic timepiece might amazingly say, "Whoa, so beautiful and elegant!" 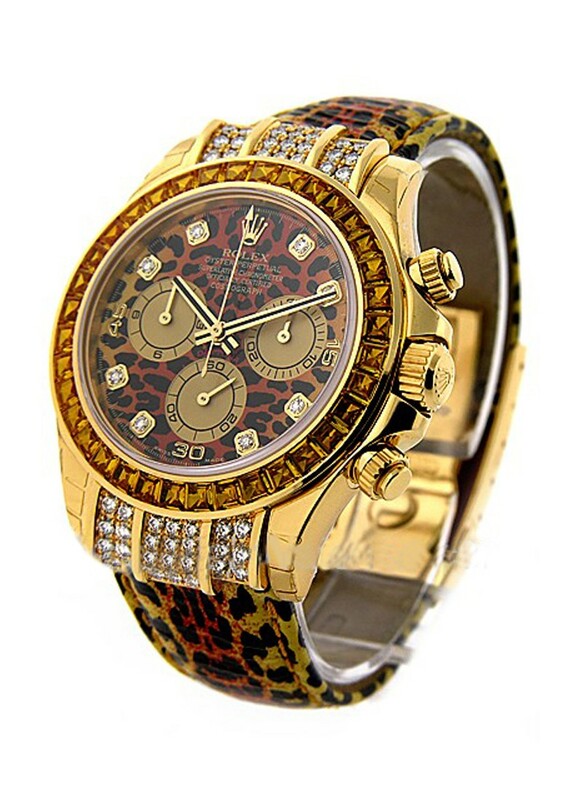 The elegant leopard print dial with 8 diamond hour markers is designed to keep it's high class look. 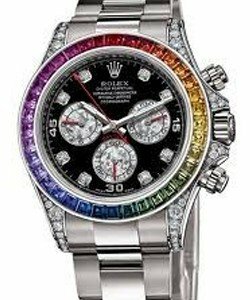 The trendy character of this new timeline of Rolex still the shadow form of old ones. Being revolutionize by new designs, it accentuates more to keep the elegancy being the favorite of dressy women. It suits the taste of meticulous individual especially if he or she loves the safari look for a change. The gorgeous look is so wonderful to flaunt in any occasion when the wearer has the ability to accentuate his accessories to his dress. 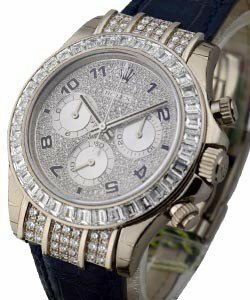 When you compare traditional model of Rolex to this new design,you can see the tiny plenty triple rows diamonds accentuate to each end point case just in a hold end of strap. The never ending gold accentuation of this timepiece is admirable. 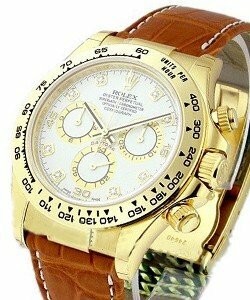 Everyone can just seemingly dreamed of having this watch.